Nobody knew where the virus came from. FOX News said it had been set loose by ISIS, using spores that had been invented by the Russians in the 1980s. MSNBC said sources indicated it might've been created by engineers at Halliburton and stolen by culty Christian types fixated on the Book of Revelation. CNN reported both sides. And while every TV station debated the cause, the world burnt. Pregnant school nurse, HARPER GRAYSON, has seen lots of people burn on TV, but the first person she saw burn for real was in the playground behind her school. But when she realises she has become infected, she is determined to find a way to survive - at least long enough to see her child born. No matter what is left of the world for them to live in. With the epic scope of THE PASSAGE and the emotional impact of THE ROAD, this is one woman's story of survival at the end of the world. 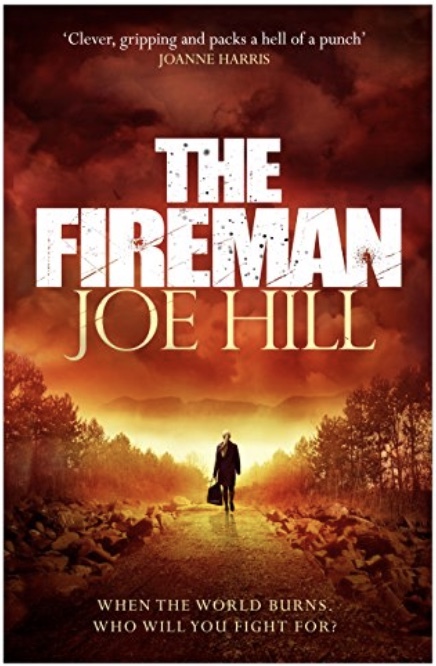 The Fireman is quite a weighty book at 762 pages, so this is one I would recommend reading on your kindle if, like me, you get tired arms from reading heavy books. I thought the idea was good: a deadly spore spreading across the world setting people on fire but I was a bit disappointed that I didn't get the end of the world fear coming through the pages. That being said, it's still an interesting read but, in my opinion, the blurb doesn't really match the book as it's not quite the end of the world epic that I was expecting. Harper is a school nurse with an obsession with Mary Poppins and she has to look on the bright side as she has a crazy husband, Jakob. Jakob has a plan if they ever contract the deadly virus named dragonscale: they would put on their favourite music, drink their expensive bottle of wine, take some pills and die in each other's arms. He doesn't really ask Harper's opinion of this but when she finds out that she is pregnant and infected with the 'scale her one aim is to survive long enough to give birth. Now, I couldn't decide whether she was stupid or selfish at this stage. Even though there was a chance that the baby would not be infected, why would you want to bring a life into a world that is burning around you? When Jakob's craziness reaches new heights, Harper meets John Rookwood, aka The Fireman, and his two young companions: Allie and Nick. They are all infected with the 'scale and have found a way to survive so they invite Harper to Camp Wyndham, where she meets other infected survivors. This is where I lost interest a smidge as it was all a bit too much peace, love and harmony for me, sitting round the campfire singing kum ba yah. Of course, put a crowd of people together and the harmony doesn't last long as they jostle for position to be the alpha male, or female. My interest was piqued again as the camp started to implode and new allegiances were formed, and I tried to work out who Harper could trust. The Fireman himself is a great character and I would have liked to have learned more about him, although I think that is part of his mystery that you never really find out who he really is. 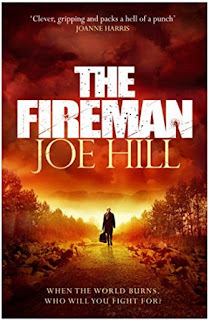 The Fireman is definitely a rollercoaster read as it has more than its fair share of ups and downs and it is good post-apocalyptic thriller but I think a shorter book would have been more intense. I chose to read an ARC and this is my honest an unbiased opinion. When Jenni Meadows has the opportunity to expand her dog-grooming business she takes it, and when a nice man appears on her horizon but fails to make any sparks fly, she decides she has enough on her plate with her business without adding a boyfriend into the mix. Besides, Millie doesn’t like him and when her dog doesn’t like a man, Jenni knows all about it. So why does Millie take a very strange liking to the new vet, especially since he has a taciturn expression, wears a wedding ring, and wields a needle? Under the Cherry Tree is a tale of love and hope, waggy tails, and cold noses. Oh my word, I am in bits after reading this FABULOUS book. I thought I was settling down to a bit of no-brainer chick-lit so I didn't expect my heart to be ripped out by this tear-jerking read. I do admit to crying at a few books but I was absolutely sobbing whilst reading this, it had so completely captured my heart and the characters were as real to me as if they were standing right in front of me, or nudging my ankle in Millie's case. I think Lilac Mills has invented a new genre. Forget chick-lit, this is pup-lit as Millie the westie completely steals the show and you can be forgiven for forgetting that unlucky-in-love Jenni Meadows is the main character. Jenni runs a dog-grooming parlour and with running a business she doesn't have a lot of time for a love life. Even if she did, every man who comes into contact with her gets a disapproving glare or sometimes growl from Jenni's best friend, Millie, the west highland terrier. When Jenni goes to view a property in the hilariously named village of Cow's Bottom she has no intention of buying it, but she falls in love at first sight with the cottage. Then like buses, 3 men come along at once: Sparkless Mark who's nice enough but doesn't give Jenni butterflies in her tummy, Nasty Neil the architect who has designs on Jenni as well as her cottage, and village vet Scott who's perfect apart from the ring on the third finger of his left hand. What's even worse for Jenni is that the only one Millie approves of is Scott. Does Millie know something that Jenni doesn't? What a fabulous book! I knew from just reading the description that I was going to fall in love with Millie and I wasn't wrong. Lilac Mills has created the most adorable fictional canine character that I have ever come across. Millie has more characteristics than most humans making her a larger than life character and one that I will never forget. 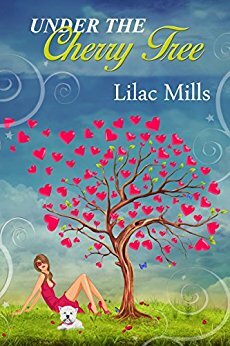 I heartily recommend this book even if chick-lit is not your usual genre as Under the Cherry Tree is both heart-warming and heart-breaking. Despite my tears, and to quote Mary Poppins, Under the Cherry Tree is practically perfect in every way. Don't miss this one! Joe Lynch is just an ordinary happily-married man - until one split-second decision throws his life into crisis. 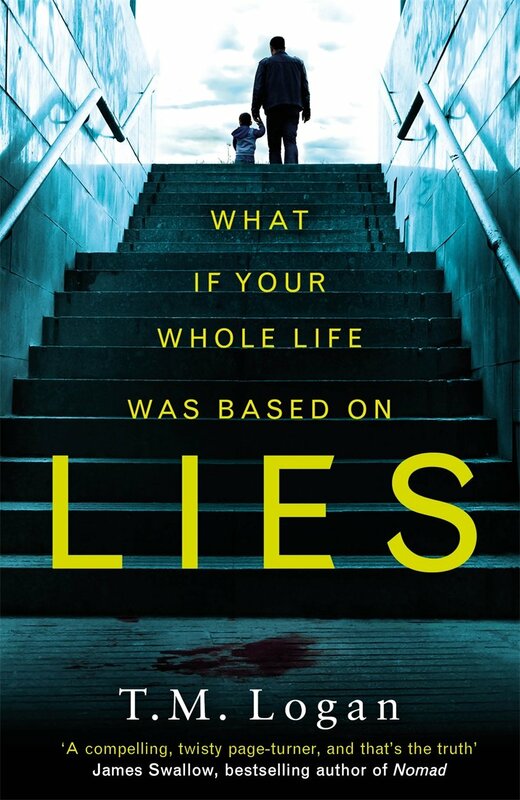 Gripping, unputdownable and packed with twists and turns from the first page to the very last, this stunning psychological thriller will make you question whether we can ever really trust the ones we love . . . I love, love, LOVED this book. It's one of those 'just one more chapter' kind of books that you just can't put down. I whizzed through it like a tornado, not knowing what was the truth and what were lies and boy are there a lot of lies in this book, as you would expect from the title. Joe thinks he has the perfect marriage, he is married to Mel and they have an inquisitive little boy, William. One day Joe is driving William home when William spots 'mummy's car', Joe humours him at first then realises the car isn't just the same make and model as Mel's it IS Mel's car. What is she doing going into a hotel car park when she is supposed to be playing tennis? Joe follows her into the hotel and sees her arguing with Ben, a friend of the family. Joe goes back to the car park with William and confronts Ben but as the pair square up to each other Joe pushes Ben and he falls. As Joe bends down to see to Ben, William gets out of the car with an asthma attack and there's no inhaler in sight. Joe's choice: check Ben is ok or save his son's life - no brainer, so Joe heads for home and returns later to find that Ben has gone so he must be ok, right? WRONG! A few days later Ben's wife reports him missing and when she also uncovers a secret mobile phone containing naked pictures of Joe's wife Mel, the police focus all their attention on Joe. There may be no body but there's also no sign of Ben and as the evidence mounts up, it's only a matter of time before Joe is arrested for Ben's murder. Joe believes that Ben is still alive as he is posting on social media so Joe heads up to Sunderland, Ben's home town, to get proof of life and clear his name. I always enjoy seeing places near where I live in print, so it was a nice surprise to see Sunderland mentioned. Joe has no idea what he is up against or how much danger he is in...can he uncover the truth before it's too late? Phew, what a scorching read; I almost got third degree burns I was flipping the pages so fast. I thought Joe was a bit of a weak house-husband at first, but when his family life is threatened he really steps up to the mark. He is so trusting that he believes everything he is told and wouldn't be able to spot a lie if it had a label attached to it. That was what was so great about the book: trying to work out who was lying and who was playing who. A couple of times I asked myself, 'is nobody telling the truth in this book? ', then answered myself, 'er, the book's called LIES'. 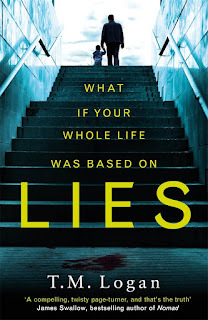 Lies is a VERY impressive debut; I actually had to double check it was a debut novel. It's so addictive you really won't be able to put it down and it will have your brain in such a tizz that you won't be able to tell truth from lies, so don't even try to guess the ending! I really enjoyed Anne Goodwin's amazing debut, Sugar and Snails, so I was eager to see what Anne had written next. 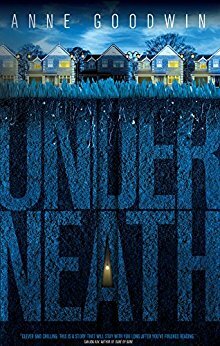 Firstly, I have to say that the cover of Underneath is fabulous - it's so dark with a little glimmer of light under the earth, giving us a little hint of what we can expect inside. Whereas Sugar and Snails was heartrending and emotional, if I had to describe Underneath in one word it would be DARK. 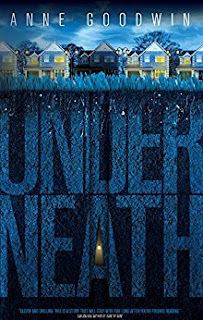 As different from Sugar and Snails as chalk and cheese, Anne Goodwin turns to the dark side in her new novel, Underneath. Steve and Liesel have a rather strange meeting in the canteen at work when Liesel mistakes Steve for someone else. The pair hit it off immediately, and although traditionally men do the chasing I felt like Liesel was firmly in the driving seat from the offset. We find out quite quickly that Liesel doesn't want children and Steve is more than happy about that...we perhaps understand the reason for this through several flashbacks to Steve's childhood. When Steve starts house-hunting he is drawn to one with a particular feature: a cellar. Liesel doesn't seem that keen on moving in with Steve and when he reveals his obsession with the cellar the alarm bells weren't just ringing they were playing RUNAWAY! I've read my fair share of twisty psychological thrillers, so I know things are never what they seem. When I was reading passages about someone being locked in the cellar, I wondered who it was. Liesel seemed far too streetwise to find herself in that predicament but then I didn't know what was going on in Steve's mind. After reading about his younger self it was clear how very damaged and twisted he was from an early age, not helped by all the mind games being played by his twin sisters. The more I read about Steve, the more I disliked, or rather detested him and it is through the intensity of Anne's writing that these emotions were stirred up in me. Dark, twisted and compelling, Underneath is filled with tension and intrigue. I found it so intriguing that I read it in a few days but I feel a little bit on the fence with this one. I enjoyed most of it and felt like we really got to see inside Steve's head, however uncomfortable that was at times, but I was left feeling slightly unfulfilled and with a bit of a question mark at the end. I wasn't sure what was real and what was in Steve's head, and that's not necessarily a bad thing, I just have to dust off my imagination and make up my own mind. I chose to read to read an ARC and this is my honest and unbiased opinion, and I am releasing my review as part of the blog tour. Merrick's life was a wild goose chase. Literally. Somewhere on the remote, Scottish isle of Scarba, Gladys awaits answers. What is the centuries-old secret that rules her destiny? A short distance away, Merrick is on his way to join 35,000 fellow barnacle geese at their annual gathering. Delayed by a sudden fall from the sky, he sustains his first wrist injury in three centuries, and has to catch a boat. Lucy Colwyn wants to go to Scarba to die; if she can only get there unscathed first. Eminent neurologist, Dr. Britten, receives miraculous news: a dying patient is cured. He now has no choice but to abandon everything and track her down before she does the unthinkable. But the journey won’t be easy, as three familiar old ladies have other, rather unorthodox agendas. The Queen of The Hebrides leaves for Islay loaded with strangers. By the time it reaches at its conclusion, some of the passengers are on their way to reaching another. That they’re more connected than they could ever have imagined. 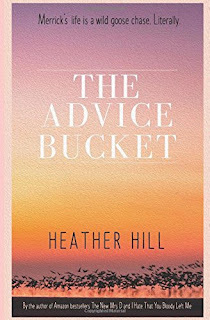 The Advice Bucket is a comedy-fantasy, and is Heather Hill’s third novel. There's a surprise on every page of this fabulous book. It's so completely different, filled with life stories and humour that you are guaranteed to have a tear in your eye at some point in the book. There are lots of interesting characters in the book but the main story revolves around Lucy. Lucy has been diagnosed with a terminal illness and having lost her only daughter, decides to travel to remote Scarba island to end her life. Scarba means a lot to Lucy as it is where her mother apparently committed suicide many years ago. It is while Lucy is en route to Scarba that her doctor, Doctor Britten, receives the amazing results of a trial that Lucy has been involved in. Can he reach Lucy in time and does she have anything to live for? The Advice Bucket blurs the lines between dying and living forever, they are perhaps one and the same thing. It is a poignant story of living with a terminal illness and a magical account of immortality, with a smattering of Scottish humour that will leave you with a smile on your face. On a serious note, it also draws your attention to the plight of these barnacle geese and the Scottish government's attempts to reduce their numbers. It was not something that I was aware of until now and looking at the amazing photo on the cover of the book, wonder how anyone could harm these majestic creatures. Would you know your forever house if you found it? Hunter's Moon is the ultimate 'forever' house. Nestled by a river in the Peasebrook valley, it has been the Willoughbys' home for over fifty years, and now estate agent Belinda Baxter is determined to find the perfect family to live there. But the sale of the house unlocks decades of family secrets - and brings Belinda face to face with her own troubled past. 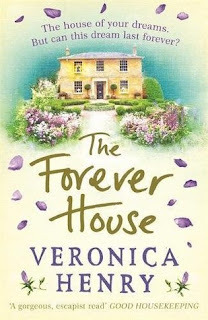 I have said previously that I don't read enough Veronica Henry books but with so many books and so little time, I am delighted that The Forever House went straight to the top of my reading queue. 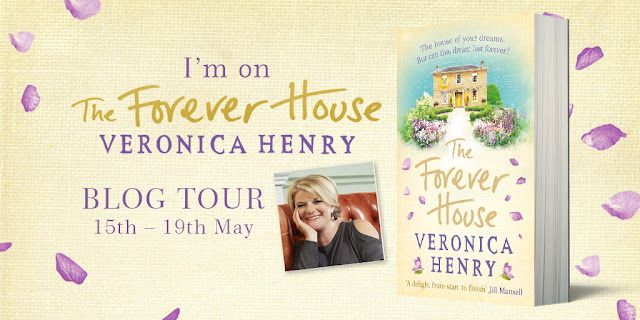 With the boundless charm and sparkling wit I have come to know and love from Veronica Henry, I was completely captivated by The Forever House and started and finished it on the same day. There is an excellent dual storyline of two very strong women characters: Belinda and Sally who meet when Sally decides to put her beloved family home on the market and chooses Belinda as her estate agent. Sally's story is quite sad as she doesn't really want to sell Hunter's Moon but rather has to sell due to her family situation. Belinda tries to make it as painless as possible whilst we learn the stories of these two fabulous women. Through flashbacks to the 1960's we read about Sally meeting her husband Alexander Willoughby and his eccentric family. What an absolute HOOT! There is a scene with a frozen chicken, a hairdryer and the Willoughby's pet where I don't mind telling you I absolutely roared with laughter, I couldn't have kept it in if I tried. They are such a crazy family but there is much love and laughter in their house, which is why it is so hard for Sally to part with Hunter's Moon. Belinda meanwhile, throws herself into work as she is more successful in her professional than private life. She is saving up for her very own forever house and thought she had found it once upon a time but she doesn't like to remember that part of her life as it is filled with painful memories. Belinda deserves some happiness and you never know what is around the corner for her. What an absolutely gorgeous book. From the warm inviting cover to the charming story within, it's a treat from start to finish. There is laughter but there are also tears and unfortunately such is life. The Forever House is a perfect life story and I treasured every moment, including the lump in my throat and the tear in my eye at the end. I had seen a lot of excitement about the Eleanor Raven series by Karen Long but I had managed to resist the books until now. As one who doesn't normally like to jump in mid-series, I launched into the Eleanor Raven series at book 3 which I found to be an absolutely brilliant read and I am thrilled to release my review as part of the blog tour. Don't miss the giveaway at the end of my post for your chance to win a signed paperback. The brand new thriller that will keep you on the edge of your seat from the author of The Safe Word and The Vault. Winter is settling on Toronto and a series of seemingly unconnected murders are weighing heavily on DI Eleanor Raven. When an army veteran holds his family hostage, leaving chaos and an unidentifiable skeletal human hand in his wake, Raven is left tangled in a web of leads, lies and secrets, with each thread leading her closer to the all too terrifying truth. But with time running out, Raven needs to re-connect with her past life – the one she thought she’d finally escaped from – if she’s to find out who the killer is before they strike again . . . I was intrigued from the start as I got my introduction to Eleanor Raven as she is undergoing hypnosis, perhaps this is some clue as to what has happened in previous books. I will certainly find out shortly as I plan to read the first two books as soon as possible after having read this BRILLIANT instalment. Eleanor would rather just get on with her job but she has to prove that she is fit for duty, hence the psychiatric treatment, but the case that she is drawn into will certainly play with her mind. Eleanor finds herself part of a hostage negotiation as an ex-marine kills his wife with his 3 children in the house. Once the children are secured, the Toronto police go after the ex-marine and they find a bit more than they bargained for hidden in the house. With such a jam-packed chapter one I knew straight away that I was going to love this book! When a seemingly unrelated incident sees the uncovering of a boiler room full of dead dogs, it is not long before the perpetrator moves on from canines to humans. My mind was buzzing as I tried to work out how this could be linked to the marine in chapter one and once the penny dropped I saw the purpose of every single sentence written in this fantastic book. 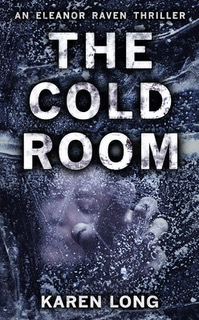 I do think that I would have benefited from reading the Eleanor Raven books in order, but I know a good book when I see one and The Cold Room certainly fits the bill. It's gruesome, chilling and AMAZING! Don't wait as long as I did, make sure you discover the Eleanor Raven series today! Karen Long was born and raised in the English midlands, educated at Bangor University and taught English and Drama for fifteen years. During her teaching years she studied biology and neurology with the Open University and this interest in medicine, forensics and forensic psychology is reflected in her writing. She is an enthusiastic traveller and has spent time in Toronto, which became the backdrop and inspiration for The Safe Word. 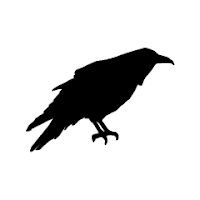 She is a keen amateur naturalist with a deep and abiding love for the crow family. She has dedicated time, love and several fingers in an effort to rehabilitate crows, magpies, rooks and ravens. Karen is happy to correspond with readers and can be contacted through her website KarenLongWriter.com, where she posts regular blogs. The Safe Word is Karen's first novel and was an Amazon bestseller, later joined by the second in the Eleanor Raven series, The Vault. Did you know that Eleanor Raven is also online? PLUS…………..HEAD ON OVER TO GOODREADS FOR ANOTHER CHANCE TO WIN A COPY OF THE BOOK! An epic love story must overcome religious divide and a plot to eradicate two blood lines, as the Crusades and the search for the ancient mysteries of the Holy Grail gather momentum. Raised by his father in La Rochelle, France, Paul Plantavalu is known for his artistic nature, inquisitive mind and Christian faith. He also has an unshakable love for his Muslim childhood friend, Alisha al Komaty. Courageous and outspoken, she returns Paul’s love. But their path is paved with obstacles; religion, war, political chaos and a mysterious enemy determined to destroy their family lines. Sometime between 1110 AD and 1120 AD in the aftermath of the first crusade, a small band of nine knights — the founding knights Templar — recover ancient precious artefacts left by a former, advanced civilisation, beneath the City of Jerusalem. Ruthlessly guarded, the secrets revealed by this discovery are highly prized by powerful and dangerous forces far and wide; the repercussions of their capture are inextricably linked to Paul and Alisha. As Paul starts to experience dark and vivid dreams and the fragile balance of peace starts to crumble, it will fall to an enigmatic man known as Kratos and his female warrior protégée Abi Shadana, to safeguard Paul and Alisha. Paul and Alisha’s love story weaves between the threads of our reality and other realms — from the Druids to the Sufi mystics, the Magi of the East, the secret political arm of the Knights Templar and the Isma’ilis, the Assassins. Knights and pilgrims alike will witness some of the darkest battles ever fought. 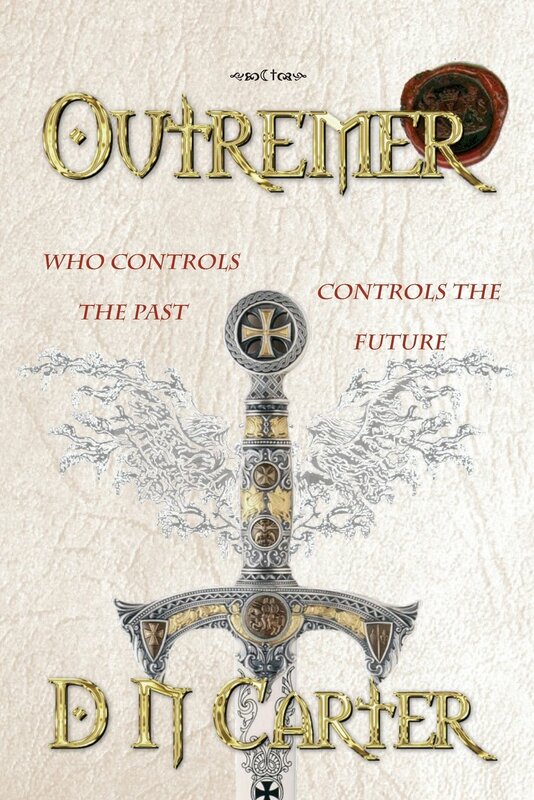 The discovery of a unique sword’s lethal power and whispered connections to King Arthur and the Holy Grail lead Paul and Alisha to question if their lives ever be the same again. The first of a four-part series, Outremer is an historical epic, which sweeps across England, Scotland and France, to Syria, Jerusalem and Egypt. Discover the truth — and crack the ancient code — behind the great mysteries of the High Middle Ages for yourself. 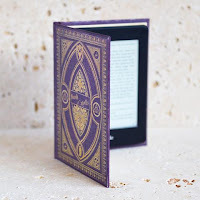 I admit to feeling slightly daunted when faced with the HUGE brick of a book that is Outremer, which showed as 23 hours of reading time on kindle. Thankfully, I had both a physical and a digital copy so I swapped between paperback and kindle now and then to give my puny arm muscles a well-deserved break. On turning the first page there is a helpful list of main characters with some amazing images so we don't even have to imagine what each character looks like. I have to say that there are a lot of characters so it did take me quite a while to get into the book, but once I did I found that I couldn't wait to read the next instalment in this riveting story. The story of Paul and Alisha is cleverly told through the words of a sword-wielding stranger taking shelter at an inn in France. As he tells his epic tale to the patrons of the inn, they became as eager for the next part of the story as I did. Paul is a Christian who falls in love with Alisha, his best friend's sister who is a Muslim. Due to their different religions, they fear that they can never be together but their fate has already been mapped and their fathers arrange an ancient ceremony so that they can be married. As they travel across the lands to protect their bloodline, they encounter many who would harm them but equally as many who would die for them. I felt as if I could be sat around the fire in the inn myself, as the stranger discussed the origins of legends, words and biblical history. I am rather partial to ancient history, particularly Egyptian history, so I found this absolutely fascinating. Often, my eyes would widen in surprise as the origins of many words were revealed and I found myself recounting this information, like the stranger in the inn, to my own captive audience. Despite it being such a huge epic novel, I felt as if we have only just begun to scratch the surface of the amazing story that DN Carter has to tell us. It's an epic story that will delight any historical fiction lover, and make you look at ancient history in a completely different light. Although it makes Game of Thrones look like a novella, do not be put off by the size of Outremer as once you get into it you will realise that it's not even nearly long enough. I chose to read an ARC and this is my honest and unbiased opinion. 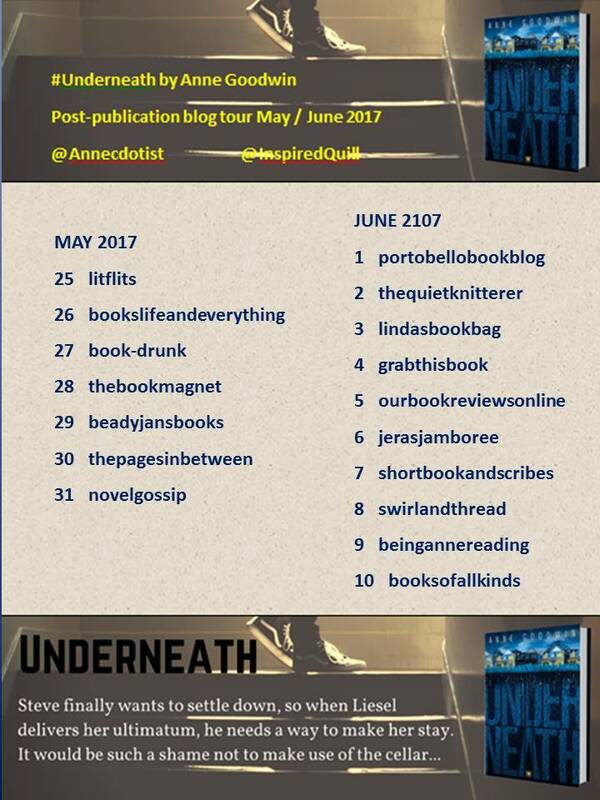 I am delighted to release my review as part of the blog tour. 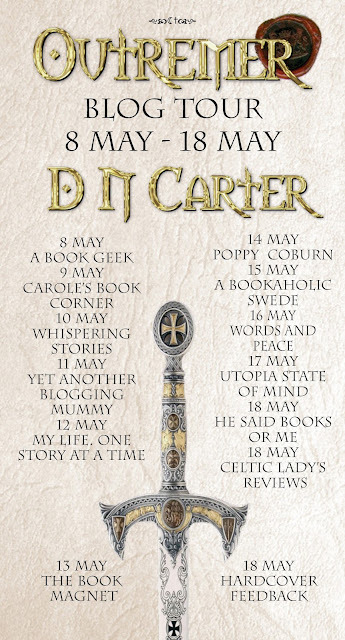 After strange and vivid experiences whilst living in Cyprus as a child, author D N Carter has been fascinated by the history, myths and legends of the Middle Ages and mankind’s past. As he got older travels to Pyramids of Giza in Egypt, the Languedoc region of France and the deserts of Arabia fuelled his enthusiasm. While not decoding maps and mathematical codes D N Carter enjoys adventure sports from parachuting to microlight flying. Today he divides his time between East Anglia in the UK and the south of France with his family. 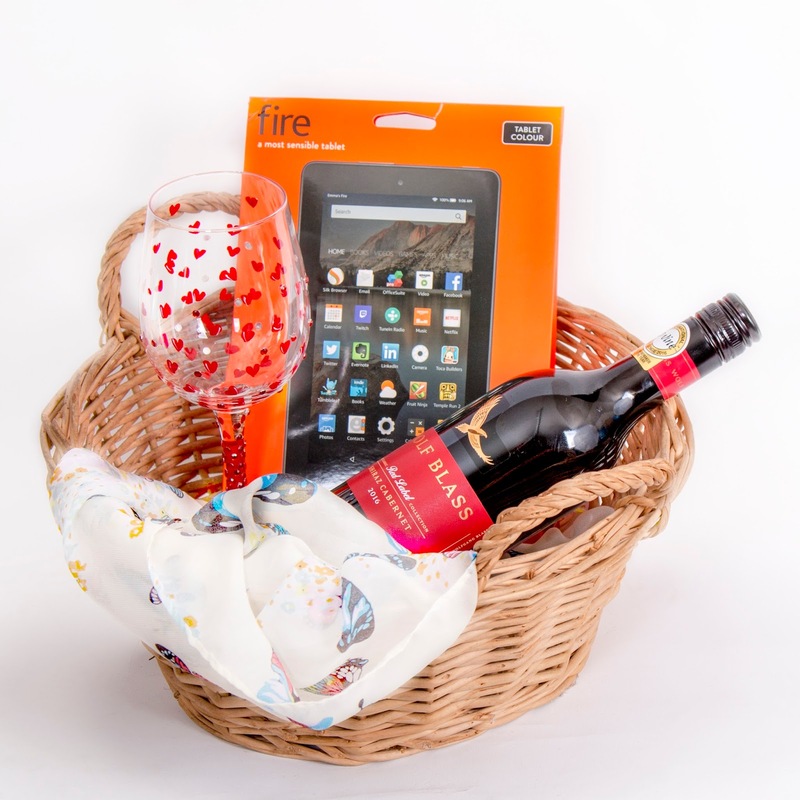 As we have come to expect with the wonderful Brook Cottage Books tours, I've got a fabulous post for you today, with an excerpt, my review and an AMAZING giveaway at the end of the post where you could win the below goody basket. If you're the lucky winner, you could be reading The Other Side on your new kindle fire, whilst drinking a glass of wine from your gorgeous glass and wearing your fabulous new scarf. Good luck! 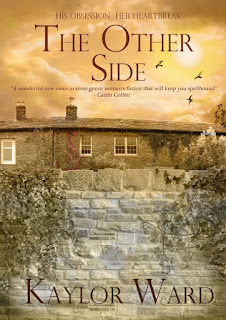 So how about a little extract to whet your appetite before I tell you what I thought of The Other Side? The door shut with a cold, hard slam sending harsh metallic echoes around her. Her eyes shot warily from left to right as she raked her fingers through her hair and tried to make sense of her situation. She was in a cell. She had asked them not to lock her in, but they hadn’t paid her any attention. Where there had been a face a few seconds ago, there was now a slammed metal door with peeling grey paint showing the cracking blue paint beneath. She hated confined spaces. They told her there was a buzzer if she needed anything. Needed anything? Panic welled in her chest, her throat and her brain as the grey walls and the naked single white light closed around her. Breathe...breathe...slow...down... This was not the place for a panic attack. Not here, not today. She was alone. She had to get through this. Focus...focus... Think yourself somewhere else. She thought of her daughters, their smiles and their joy. She lay on the hard thin plastic mattress on the concrete bed, and pulled a thin blue blanket over her head to block out the light, to block out the room, and to block out now. So after that intriguing prologue, let's see what I though of The Other Side. Lauren is locked in a cell. She knows she shouldn’t be there. When Lauren and Rick are left an allotment they embark on a lifestyle change that is supposed to bring their step-family closer together. They embrace the chance for a slice of the good life, fresh air and family times together. Lauren and Rick are in love and happy but sometimes their past issues surface. For Lauren it’s the affair that her first husband had before he left her. For Rick it’s the children he was alienated from and forced to leave behind seven years ago. One day a new family move into a cottage behind the allotment. That day changes everything. That day they start falling apart. What a surprise this book turned out to be. I thought I was going to be reading a bit of a no-brainer book about a married couple who decided to do a bit of allotment gardening, but I couldn't have been more wrong. Yes, there is a married couple who have an allotment but dip beneath the surface and you find that not everything in the garden is rosy. Rick thinks that he is burying his thoughts and hiding his feelings but as he grows increasingly distant Lauren begins to suspect that he is having an affair. Lauren even follows the woman that she suspects her husband to be cheating with and sees her arrive at Rick's workplace. Lauren has been there before though, and is fearful of confronting Rick in case she doesn't like what she uncovers and is left alone again. Lauren has no idea what is going on in Rick's mind and, as my jaw dropped at the end, clearly neither did I. A completely unexpected gem of a book by Kaylor Ward, the characters were so well developed that I felt as if I knew them personally. I loved Lauren's close relationship with her sister and the business that they run together, Puffin Island, being not just any old clothes shop but an emporium of makeovers. There is laughter and there are tears as Lauren deals with the trials and tribulations of her sister, Kate, and her friend, Beth, whilst wondering what is going on in her own marriage and trying not to have her head turned by local attractive bar owner, Jack. Rick's predicament was excellently portrayed as he tried to hide his feelings from Lauren, whilst inadvertently spinning a web of lies and leading Lauren to jump to conclusions. There are indeed always two sides to every story, although Kaylor Ward has discovered the secret third side to the story in The Other Side. The Other Side is so surprisingly multifaceted that I can't think of a better way to describe it than an absolute gem of a book. Kaylor Ward has taken the contemporary fiction genre by storm by writing something so outstanding and I am delighted to see that she plans a follow up to Lauren's story - Side by Side. 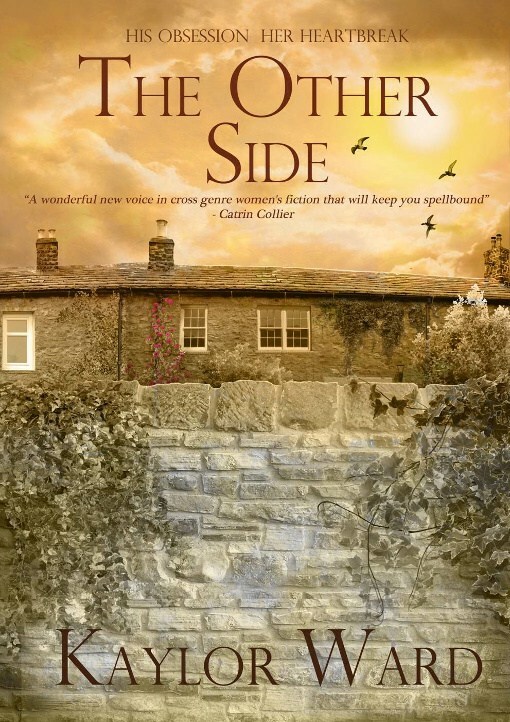 I wouldn't hesitate to recommend The Other Side - it's so much more than I ever expected from the beautiful calm and tranquil cover which belies the tempestuous storm that is brewing inside. Kaylor Ward, originally from London, now lives in South Wales. 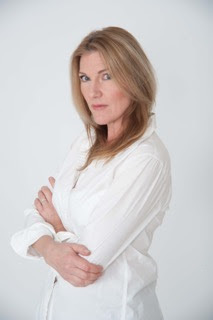 She worked for many years as a management consultant and trainer, writing part-time until her first book was published under the name, Michaela Weaver (Manic Mondays). She has studied creative writing at Masters level, and in addition to her writing she is a qualified Writing Coach. Michaela is a member of the Romantic Novelists' Association, and a reader for their New Writers' Scheme. Michaela writes cross genre contemporary fiction with psychological twists often about the darker side of family and domestic life. JUST FOLLOW THE LINK TO ENTER THE COMP! AND, AS IF THAT WASN’T ENOUGH………….There’s a free 6 week novel writing course for everyone run by Kaylor Ward herself! Here’s the link to access it!